Happy Monday!!! I usually only post on Friday, but Marcella has a new, incredible digital floral collage image, and the Bloom Brigade was invited to participate today. How could I resist this? She's calling it Rosé All Day, and it's available for purchase right now!!! 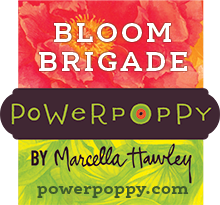 Power Poppy is starting something new this year. 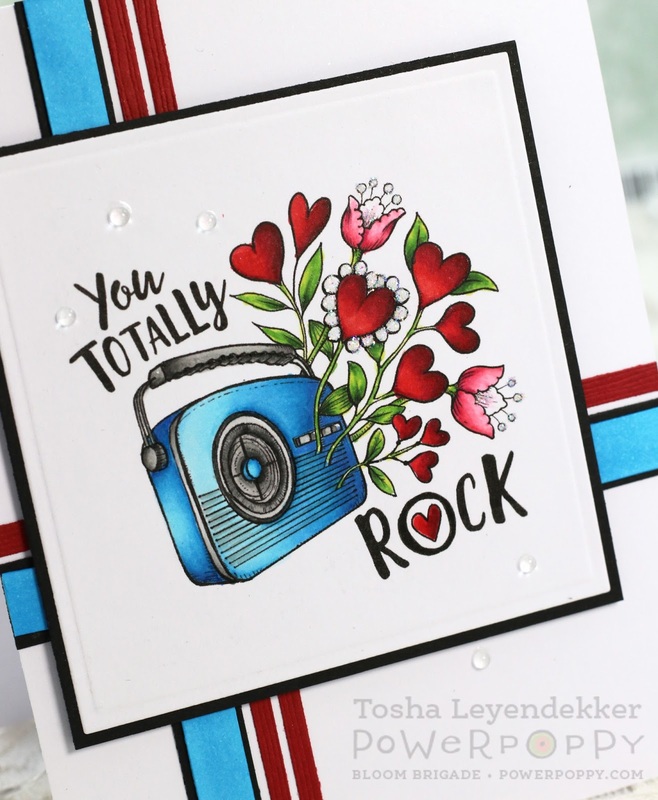 Each month, we're going to feature a "color story". It could be monochromatic, or a certain color family. And this month, we're focusing on flowers that are naturally red, pink or white. Don't worry though...you are not limited to these colors. You are welcome to let your imagination soar. This is just an inspiration; a starting point. I chose to keep most of my colors in the red/pink family. I added some neutrals (browns and grays) to the brushes, and of course, the bees are yellow. ;) I also added some sparkle to the bee wings with the Clear Wink of Stella pen. It's subtle, but if you click on the picture below, you should be able to see it better. Also...we have some really exciting news to share. 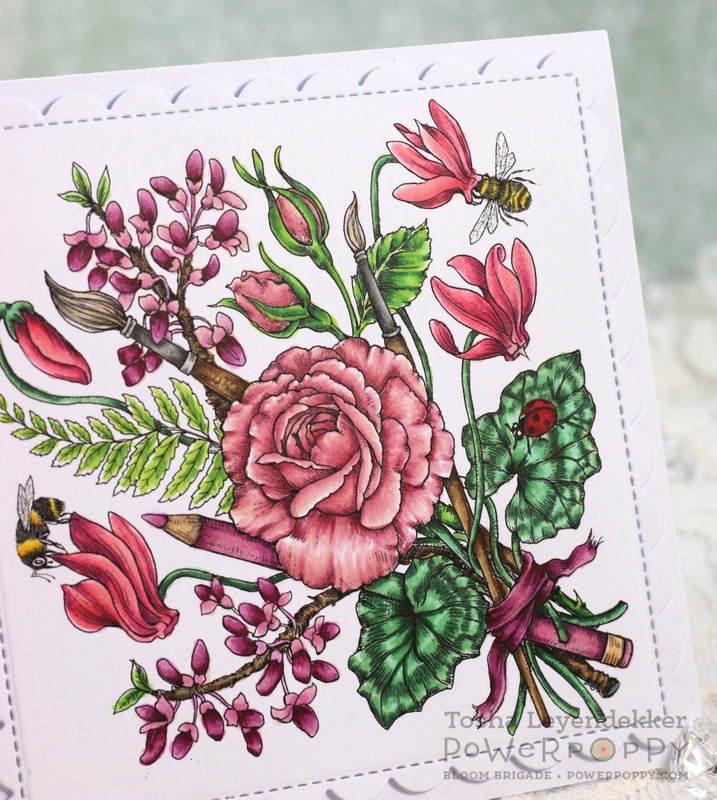 Kathy Racoosin will be featuring Rosé All Day on the first day of her January 15th - Feb 15th 30-Day Coloring Challenge. I'm so glad you dropped by! 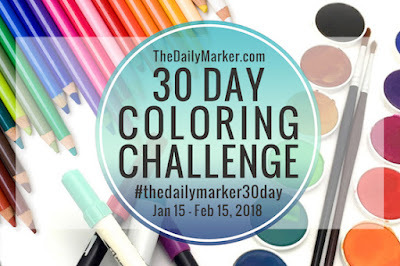 I hope you've been inspired to get coloring!! 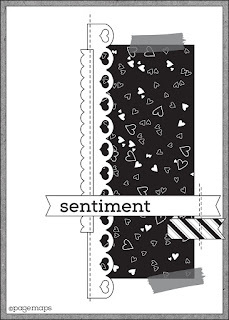 For some more inspiration and all the details, be sure to stop by the Power Poppy Blog. Anyway, I used one of the Card Maps sketches, Power Poppy's Dream Wedding Clear stamp set, some beautiful Kaisercraft dp and my Copics to make this sweet wedding card. I also added a bit of sparkle...I mean, it is for a celebration, so of course sparkle is a necessity. So glad you dropped by. Hope you were inspired to try one of the Card Map Sketches. If you do, link your creation up HERE . If you play along, you'll be in the running to win a $50 Shopping Spree to the Power Poppy Shop! The Pagemaps contest closes January 22nd, so hop on over soon! We can't wait to see what you create. I am so excited to share my Power Poppy card for today!! 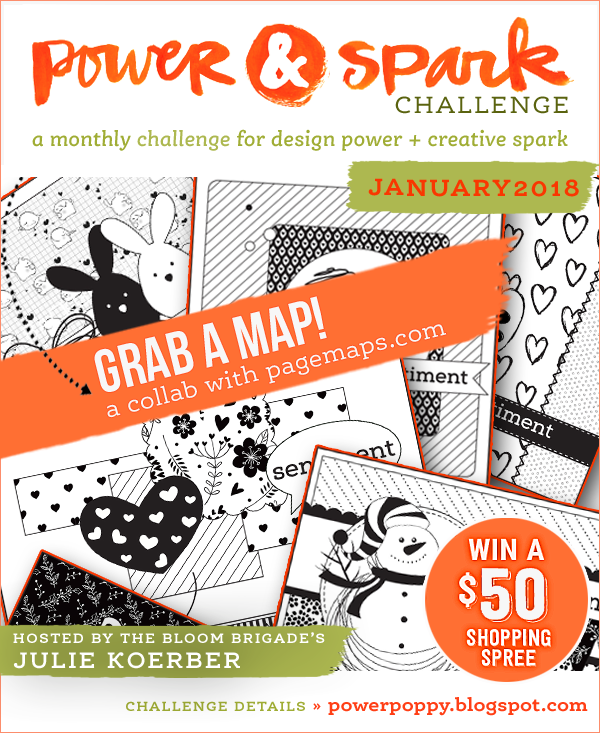 And, since it's a new month, we have a new Power and Spark Challenge! For this month's Power & Spark Challenge, we're asking you to "Grab A Map," and get in on some Power Poppy Fun! 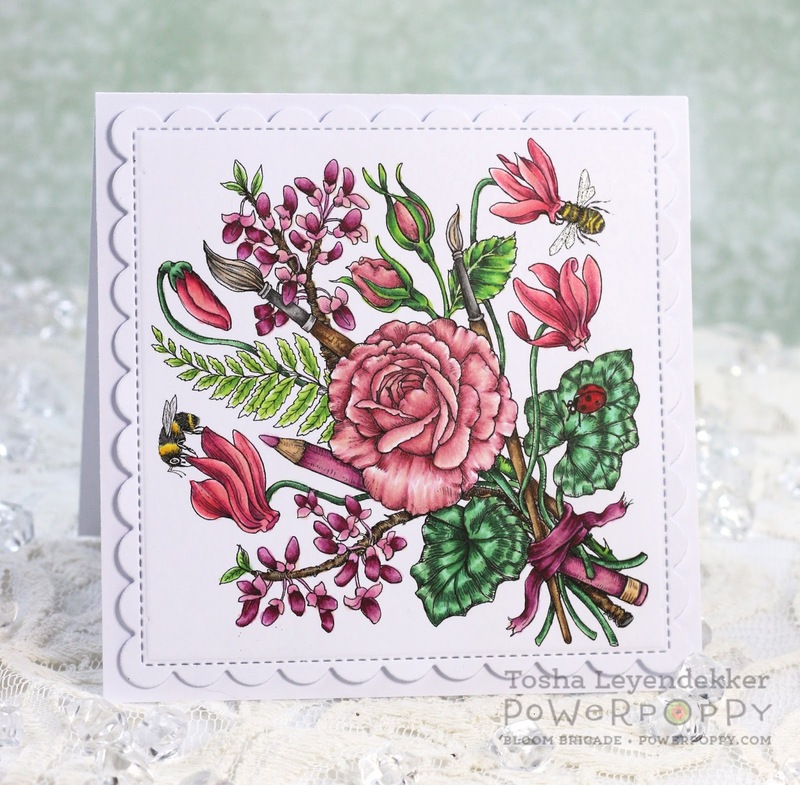 We've teamed up with Pagemaps.com's CardMaps to showcase 10 new sketches featuring some of Power Poppy's fabulous stamp sets. You can find all ten sketches along with design team samples HERE! The sketch I used is to the left. So grab a map, use it to spark a little cardmaking creativity and then, link your creation up HERE . If you play along, you'll be in the running to win a $50 Shopping Spree to the Power Poppy Shop! But wait, there's more! Becky Fleck, the fabulous Pagemaps guru, is also offering a $25 Power Poppy gift card and all you need to do is leave a comment on THIS post! The Pagemaps contest closes January 22nd, so hop on over soon! We can't wait to see what you create. 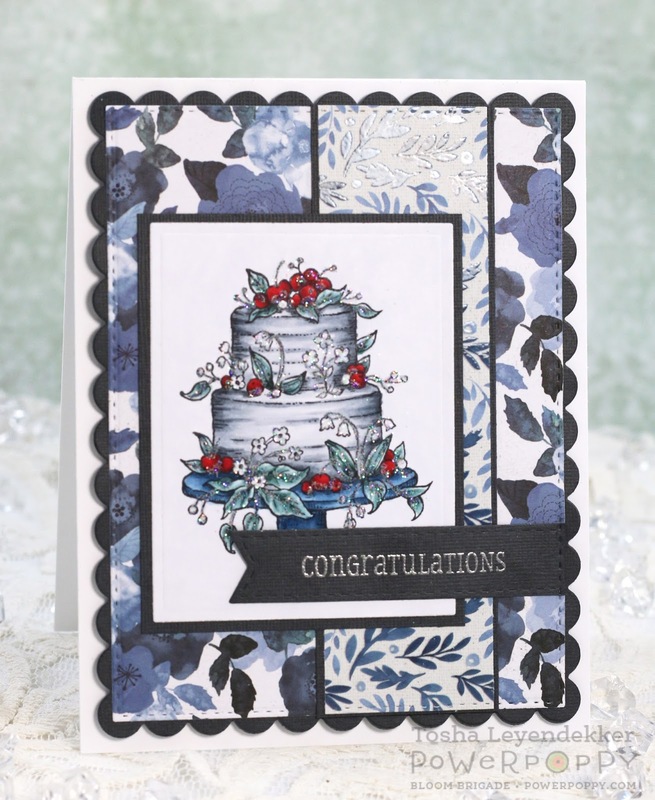 Now, for the details of my card. 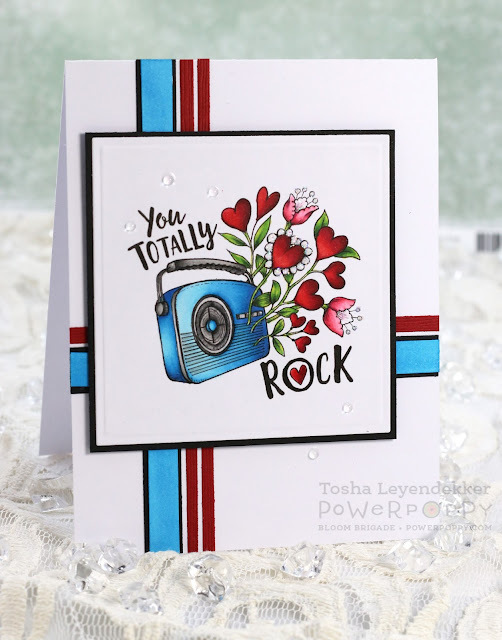 I used two Clear Power Poppy Stamp sets: Pure Prairie Spirit and Dynamic Duos: Peonies and Tulips ("wishing" sentiment). 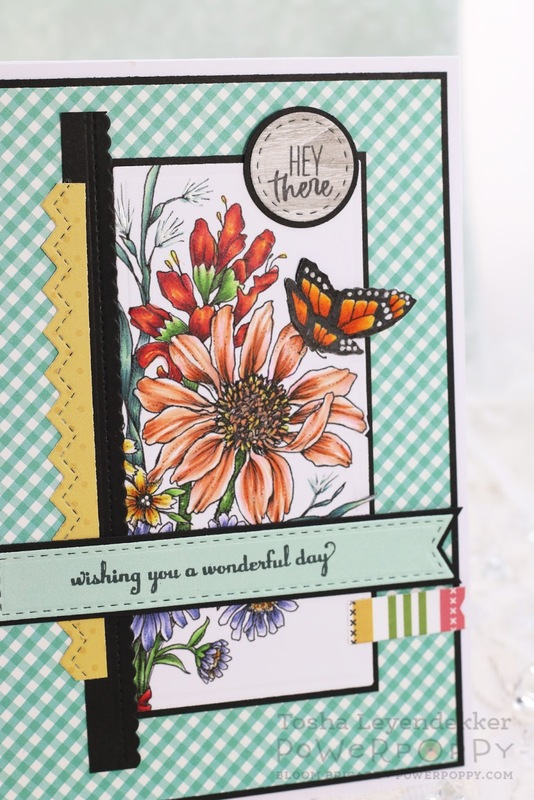 I cut around the butterfly and a portion of the flower and leaves and diecut it using a Long Classic Rectangle die (Spellbinders). I used a variety of other dies for some framing and strips too. Lastly, the image was colored with Copics. Thanks so much for stopping by! 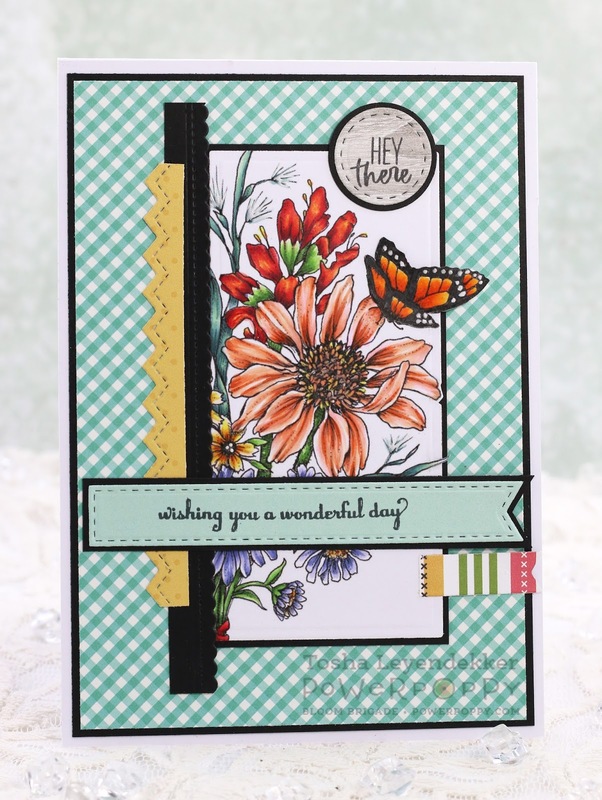 I hope you are inspired to try one of the super fun CardMaps and will share your creations Here so we all can see!